Looking for an easy way to upgrade your bathroom? If you’re hoping to avoid an expensive makeover, skip the new tile flooring or backsplash and opt for a fresh paint job. A new coat of paint can have transformative effects on any room of the house, and the bathroom is no exception. Here, we share several crucial elements to help you achieve the perfect bathroom paint job. Regardless of the shade you choose for the bathroom, it’s important for the room to be equipped with good lighting. It’s ideal if the space has a window that will allow natural light to filter in, but if that’s not possible, experiment with your favorite intensity and hue of lighting. Soft LED lighting is usually a good choice, and will help the room appear bright and inviting. Before beginning a paint job, we recommend making sure that the wall texture is nice and even. An uneven texture will highlight imperfections and make it difficult for the paint to adhere properly. To create an even canvas for primer and paint, be sure to thoroughly sand the walls before moving on to the next step. 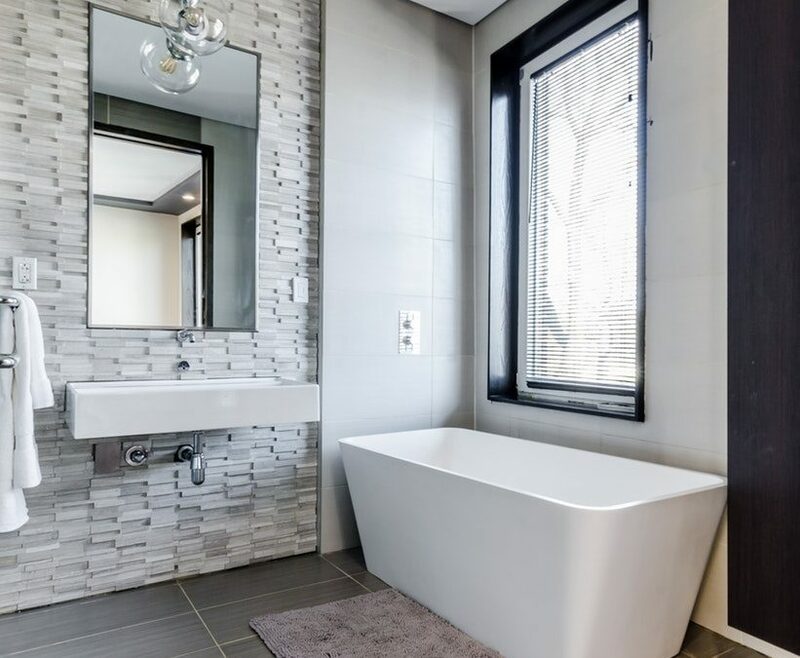 Bathrooms receive lots of moisture from steamy showers and luxurious baths, which can lead to premature breakdown of paint. To preserve the paint job for as long as possible, consider using hard-drying trim paint around windows to combat the effects of moisture. In most cases, a flatter sheen looks best for bathroom ceilings (especially if your bathroom has access to a plethora of natural light). Flat sheens are great for hiding imperfections, but they may not be the ideal choice for the entire bathroom. Semi-gloss will likely be a better choice for the walls, as they tend to withstand moisture better than a flat sheen. If you’d like your bathroom to feel like a spa, you may enjoy a soothing hue such as Resolute Blue by Sherwin-Williams or Gray Cloud by Benjamin Moore. Neutrals are also a safe choice for bathrooms, but those with more eclectic tastes may enjoy a lilac or seafoam green space. A simple coat of paint can enhance any room of the home, and the bathroom is an excellent place to start. If you’d like to avoid the hard work of sanding, priming, and painting, our team is here to help. We can transform any home or office, whether it’s just one room or the whole building. When you’re ready to schedule your free color consultation, please reach out to Hector MacLean at 303-324-0561.